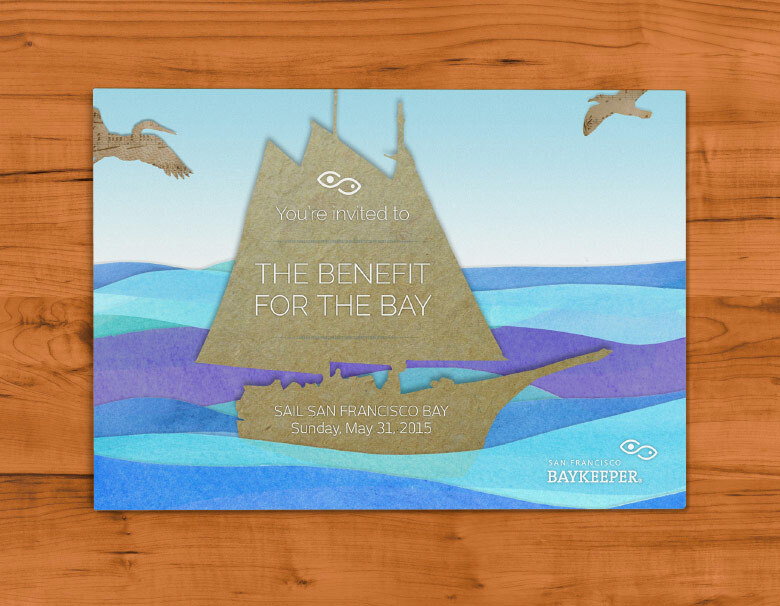 San Francisco Baykeeper are stewards of our beautiful Bay. 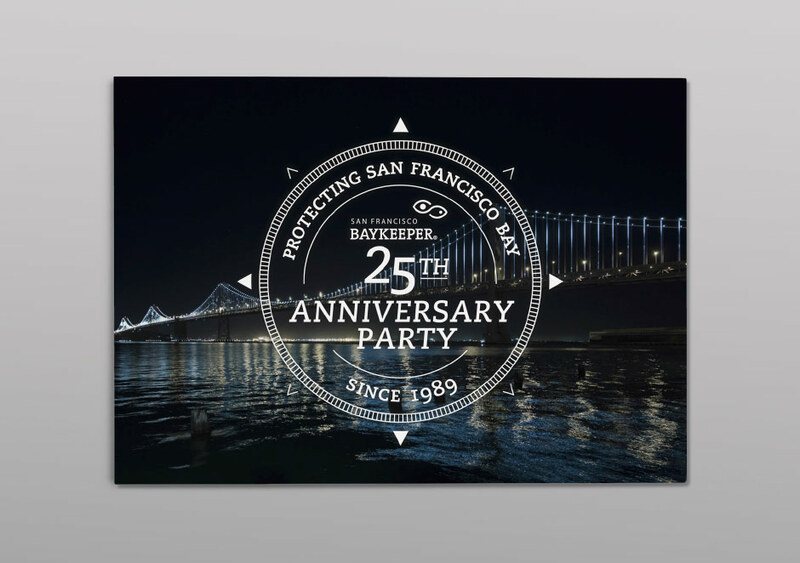 For the past 25 years, Baykeeper has protected the San Francisco Bay from pollution and promoted a healthy environment. 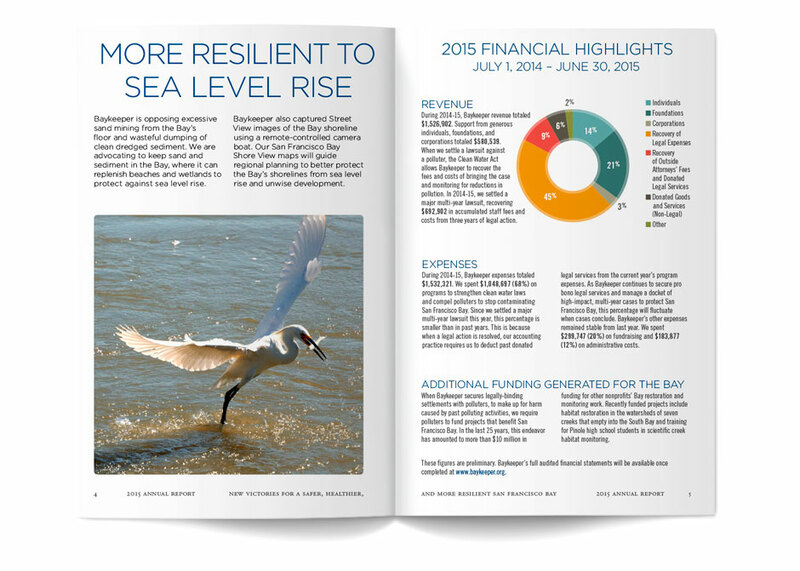 Utilizing science and clean water laws they have, and continue to help maintain a thriving Bay ecosystem. Last year marked their quarter of a century anniversary, and we were thrilled to be asked to help mark that event with a number of materials that were produced throughout that year. It marked both a point of arrival and departure as they launch out on their next 25 years of protecting the Bay. Drawing from the visual language of the nautical world, we created a logomark based on the compass form to mark and celebrate this point in time. This logomark was then reinterpreted for the 25th Anniversary and applied to digital and print materials announcing the event. 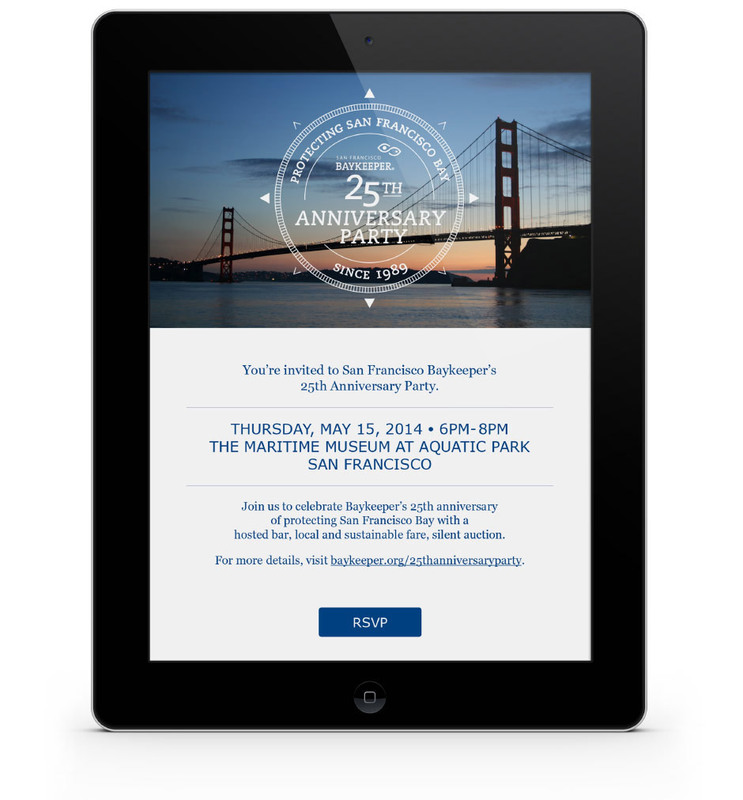 Following a successful 25th Anniversary Event, we were asked to take on the redesign of the Annual Report. 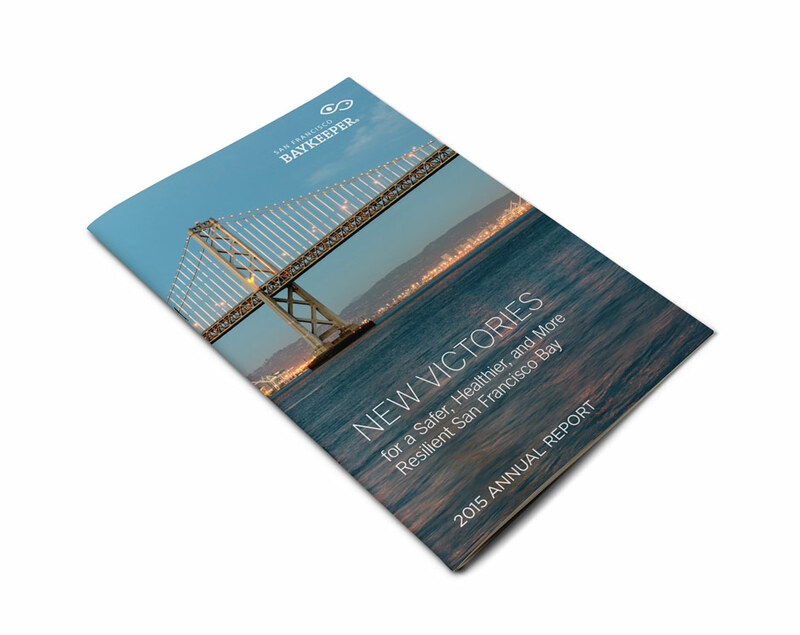 Again, underscoring the 25 years of service to the Bay Area, the report commemoratively marked both recent and historic wins for the community at large.